Looking for healthy yet fun holiday gift ideas for your friends and family? We’ve got 25 creative yet practical recommendations in this 2018 holiday gift guide! Whether you’re shopping for the green goddess, conscientious cook, domestic dame or natural mama, or if you simply need some healthy stocking stuffers ideas, you’ll be sure to find something new and inspiring in this list! Plus… we’ve got some great discounts from our favorite brands AND we’re giving away a VITAMIX!! Here we are again–harking upon the last 2 months of the year!–and I, for one, frankly cannot believe it. While the holidays are often filled with unhealthy foods and traditions, it doesn’t have to be that way. Show how much you care about your loved ones this year by gifting them something that promotes their health and wellness. 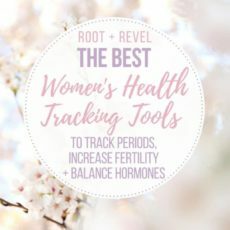 Whether you’re looking to splurge on natural beauty and spa quality products, or want to support healthy habits by gifting nourishing foods, or are looking for that perfect gift for mama and baby, or if you’re simply in need of a few small ideas for a fun gift or stocking stuffer–you’re going to love our ideas in this year’s healthy holiday gift guide! We’ve also got some great discounts on many of the recommendations below–because who can’t afford to save some money on holiday shopping?! PLUS: We’re giving away one of the best kitchen appliances and gifts of all time–a Vitamix Professional Series 750 Blender worth $650!!! Enter to win at the bottom of this post. Giveaway ends at midnight October 26, 2018! 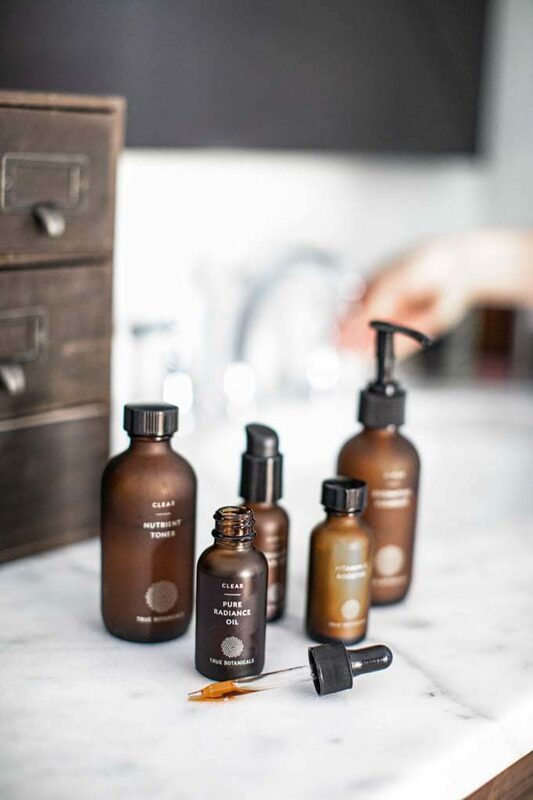 True Botanicals: This pure and potent skincare line is certified MADE SAFE and cruelty-free, making it an incredible gift for any woman who really cares about green, non-toxic beauty and wants glowing skin (so in reality: probably most women you know!). Here’s what transformed my skin this year to get seriously the clearest, most even-toned skin I’ve ever had: the Clear Toner, Radiance Oil, Cellular Repair Serum and Vitamin C Booster. Get $20 off your first order of $40+ with the code JOINUS20. Rent the Runway: Perfect for the shopaholic or trendsetter! Gift this monthly membership where miss fashionista can rent designer clothes, selecting from thousands of pieces (they even do the dry cleaning!). Use the code FIRSTRTR to get your first month of unlimited rentals for just $99! Leahlani Skincare: My latest skincare obsession, Leahlani products might just be the best treat I’ve ever given my skin (shoutouts to the Pamplemousse Tropical Enzyme Cleansing Oil and Kokoleka Detoxifying Facial Mask). I’m not joking when I say that they smell good enough to eat! Plus they come infused with lots of Hawaiian aloha love–even their packaging is downright beautiful and inspiring! Try the Pink Collection for a special tropical gift set that any green goddess is sure to love. Gaia Membership: Ideal for the mindful, spiritual woman in your life (or the woman who could use some time to slow down and relax! ), Gaia is the world’s largest resource for videos on everything mindfulness related: from yoga videos, to meditations, to films and documentaries about alternative healing, conscious parenting, finding happiness and more–some have dubbed it the Netflix of spirituality with their collection of over 8,000 videos! You can try a 1-month trial of Gaia today for just $.99! After that, it’s just $9.95/month (or buy an annual membership as a gift and save 20%!). Beautycounter: Featuring a selection of 19 different limited edition holiday gift sets, you can’t go wrong with gifting clean, non-toxic beauty to your favorite green goddess! This year I’m loving their makeup gift sets like this gorgeous Necessary Neutrals Eyeshadow Palette, the fun bold colors in this Mini Color Intense Lipstick Vault, and the First Light Highlighter Palette that delivers a radiant, luminous look, perfectly accentuating any lady’s lovely features. Vitamix: Give the ultimate healthy eating present and truly upgrade someone’s life with this highly coveted, high-speed blender! The Vitamix delivers perfect consistency every time, be it for everyday needs like smoothies and sauces, or more heavy duty recipes like making homemade nut butters, nut milks, soups, baby food, dough, ice creams and more! You can also get a certified reconditioned model for a more affordable option, and now they even offer 12- or 18-month payment plans with 0% APR to make this appliance even more accessible! The enhanced features of the newer Professional Series 750 are blowing me away! It’s got five pre-programmed settings to make smoothies, hot soups, frozen desserts and purées, plus a self-cleaning setting. This will surely make any holiday cooking a breeze, plus bring culinary delights for years to come. And: we’re giving away this model to one lucky winner–DON’T FORGET to enter to win at the bottom of this page! Dry Farm Wines: What cook doesn’t love a good glass of wine to enhance their meal? Dry Farm Wines curates dry-farmed (read: sustainable), low-alcohol, low sulfite, sugar-free and additive-free wines! This means that, not only are you getting a much healthier glass, but you can also kiss hangovers goodbye. Cheers to that! Get your first bottle of natural wine for just a penny. Curious? Read more about the importance of natural wine. Sunbasket: Sometimes, even the most industrious chefs don’t feel like planning dinner. Give the cook in your life permission to take it easy with Sunbasket, a healthy and organic meal kit delivery service that far outshines the rest. Pick from gourmet, fresh recipe boxes including vegan, gluten-free and paleo meals that come in eco-friendly, recyclable packaging. Order today and get $35 off your first delivery, or take advantage of their 50% off family plans offer! Read my full review of Sunbasket here! 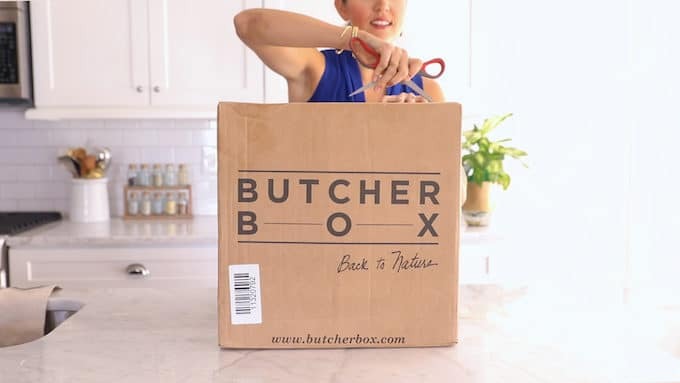 ButcherBox: Nothing makes a meal better than high-quality ingredients! Any meat eater will benefit from this healthy, organic and grass-fed meat delivery service. Not only is it super convenient, but it’s some of the healthiest meat you can get from humanely-raised animals. Get $15 off your first order + FREE heritage-breed bacon here! Check out my honest review of Butcher Box here. Daily Harvest: Know anyone who rushes through their mornings and makes an excuse that they don’t have time to eat healthy? Help them out with the gift of Daily Harvest, a company that delivers whole-food and largely organic smoothies, chia pudding, soups, grain bowls, lattes and overnight oats right to your door. They’re frozen and ready to enjoy on your schedule, meaning there’s no more excuses for unhealthy eating! Avocado Green Mattress: Go big this year for a loved one and upgrade your mattress! Standard mattress are ripe with toxins and chemicals–do you really want to be sleeping on that every night? Avocado Green Mattress makes some of the most green, healthy, social-conscious and luxuriously supportive foam mattresses imaginable. I have one and I love it! They even offer a pay plan option starting at 0% APR, making the switch to healthier sleep more attainable than ever. Plus, get 2 FREE PILLOWS with any mattress purchase with the code 2FREEPILLOWS! For other natural and organic bedding options, read our comprehensive Ultimate Bedding Guide. Minted: For the art or design lover in your life, this incredible site curates all their designs from independent artists through ongoing design competitions, voted on by the Minted community. From custom art to photo gifts to stationary and so much more, you can create something truly unique with Minted or browse their vast collection. Check out the adorable art I got from Minted for my baby’s nursery. Puracy: Know any clean freaks? 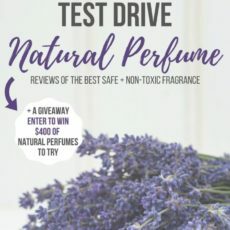 Gift them natural and cruelty-free cleaning products that they’ll obsess over with Puracy, winners of countless awards for their non-toxic cleaning products. Try the plant- and mineral-based Home Care Set with hand soap, dish soap, laundry detergent, stain remover and multi-purpose cleaner. Or, check out their personal care or baby care bundles. Available on Amazon. Amazon: Easy gifts for anyone who enjoys TV, reading or audiobooks (i.e. everyone! ), convenient Amazon products are the gifts that keep on giving. Try the Fire TV where you can access 500,000+ movies and TV episodes from popular channels and apps, the Kindle for handy access to all your books in one place, or Audible for easy book listening on the go! Shark Rotator TruePet Vacuum: This is a must for any pet lover. We all know the hairy side effects of our furry friends, but this vacuum makes clean up easy. It has a special motorized brush and multi-tool specifically for pets, and even picks up surface litter. Plus, it’s better for your health with it’s anti-allergen seal and HEPA filter that traps 99.9% of dust and allergens inside the vacuum! I bought myself one earlier this year and it actually makes me excited about vacuuming, that’s how good it is! Hope & Henry: The cutest organic kids clothes that are also sustainably made AND–yes–affordable! I love this brand’s story and how they also share profits with those who sew their clothes, making this company an admirable model for conscious business. If you need to buy children’s clothes for the holidays, this is for sure the place to go. Available on Amazon. SnuggleMe Organic Lounger: Any new mama or mama-to-be will be sure to love this 100% organic cotton and fleece co-sleeper and mobile infant lounger. It’s not only a dream pillow for your baby, it’s convenient for mom: she can bring it bed, tote around the house, or take with her traveling. Plus, it’s safe and secure with cushions all around and a hammock effect in the center, so that mom can rest assured knowing baby will lay flat without rolling over. Buy it at The Tot or on Amazon. Earth Mama Organics: What’s not to love about Earth Mama Organics? From their clean personal care selection to balms and ointments, to postpartum recovery comfort care products, any pregnant or new mom will thank you for these magical creations! Try their organic A Little Something for Mama-To-Be gift set for the pregnant lady in your life, or their New Mom Organic Gift Box for the newest mama you know to pamper herself while recovering. Hatch Baby Rest + Grow: A practical yet tech-savvy gift for expecting or new parents! The Hatch Grow is a wipeable changing pad with a smart scale to help track baby’s weight gain, feeding amounts, and diaper changes, while the Hatch Rest is a nightlight and sound machine, which also has a time-to-rise indicator that you can control and customize from your phone. Gift parents with a good night’s sleep and they’ll love you forever! Buy it at BuyBuyBaby, Target or Amazon. Naturepedic Crib Mattress: Know any sweet little newborns in your life? Protect their health by buying them an organic crib mattress! Naturepedic mattresses are made with organic cotton fabric, an easy-to-clean, stain resistant polyethylene waterproof surface, and a Built-in Dust Mite/Bed Bug Barrier. It’s NOT made with allergens like latex or soy, or toxic chemicals like fire retardant chemicals, polyurethane foam, vinyl or formaldehyde. I personally have the 2 in 1 Organic Cotton Ultra Quilted Mattress because it can grow with our little guy. The waterproof side is perfect for the diaper years, while the quilted side will give him a more luxe, cushy sleep when he gets older. Buy it direct from Naturepedic, or at Nordstrom, BuyBuyBaby or Amazon. I also recommend their Waterproof Crib Mattress cover for extra protection. 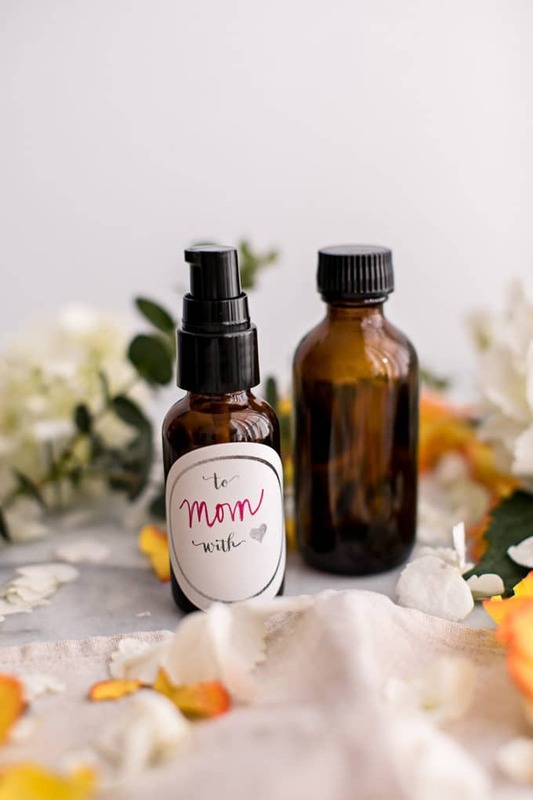 Essential Oil Blends: Ideal for the au naturale lady, essential oils are amazing and a safe bet for any healthy-minded person. Check out WishGarden Herbs and Oilogic for artisanal herbal remedies that actually work! WishGarden Herbs handcrafts their organic and sustainably wild-harvested herbs into a number of oils that address everything from immune system health to sleep, allergies, pregnancy (I love this Sleepy Nights for Pregnancy blend) and more. Oilogic focuses on remedies for symptoms like cold and cough, headaches, sinuses and itch relief to name a few, plus their Essential Oil Roll-ons and Ouchies and Boo Boo Ointment are MADE SAFE certified–one of the best non-toxic certifications you can get. Annemarie Skincare: Good things come in small packages. Annemarie Skincare makes for the perfect gifts for any women in your life who love taking good care of their skin. Try the Stem Cell Serum, Kaolin Micro Exfoliant or gift their fun samples of essential oils, mineral makeup or skincare. EatingEvolved Fair-Trade Cacao Bars: Their Vanilla Bean & Coffee Primal Chocolate is easily the best piece of chocolate I’ve ever tried! Their chocolates are paleo and vegan, sweetened with coconut sugar. I also love the Caramel & Sea Salt Coconut Butter Cups. Silicon Molds: For the lady who loves to create her own healthy snacks and desserts, these fun molds can be used to make homemade gummy sour candy, pumpkin pie fat bombs, and countless other treats. They’re BPA-free and food-grade, so you can rest assured knowing that you’re safe from toxins. Tumbler: This thing may as well be attached to my arm. For your friend who is always on the go, or for the one who is obsessed with drinking clean water, or for your sister who can’t stand plastic waste, this is a perfect reusable water bottle with a lid and straw, making sipping easy. Plus it’s 100% food grade, non-leaching, toxin-free and keeps your drinks cold for hours! What’s on your wishlist this season? Do you have any creative, healthy ideas for gifting! Share in the comments! I know it sounds strange but on my personal holiday wishlist I really want a recipe for a good diy face lotion and of course lots of sugar-free desserts. For others I’m purchasing more gifts from non-profit organizations. That way it’s a double gift! LOVE this giveaway! Such good ideas too… I’ll be adding a few of these to my list. 😉 Thank you! Yay! Hope you find it helpful!